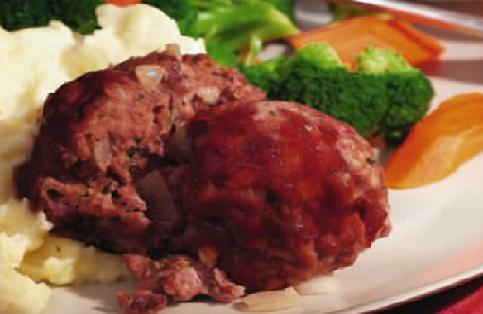 Obviously, we love the classic comfort food meatloaf around here, especially as the weather begins to cool, and suppertime needs to be just a little richer with a coolness in the air. As a variation on the classic loaf, next time make your mixture and place into muffin tins. Just be sure to cut your baking time in about half (they cook much quicker, usually in about 20 minutes) and are perfect for individual portions to use as leftovers. This way, everyone gets their own variation. Some can cover in ketchup, others in gravy, bbq, or another sauce. Anything small is infinitely more edible and appealing!